Chrome clasp is durable for directing your pet. Good quality nylon is designed for long lasting use. All of our materials are eco-friendly and non-toxic. 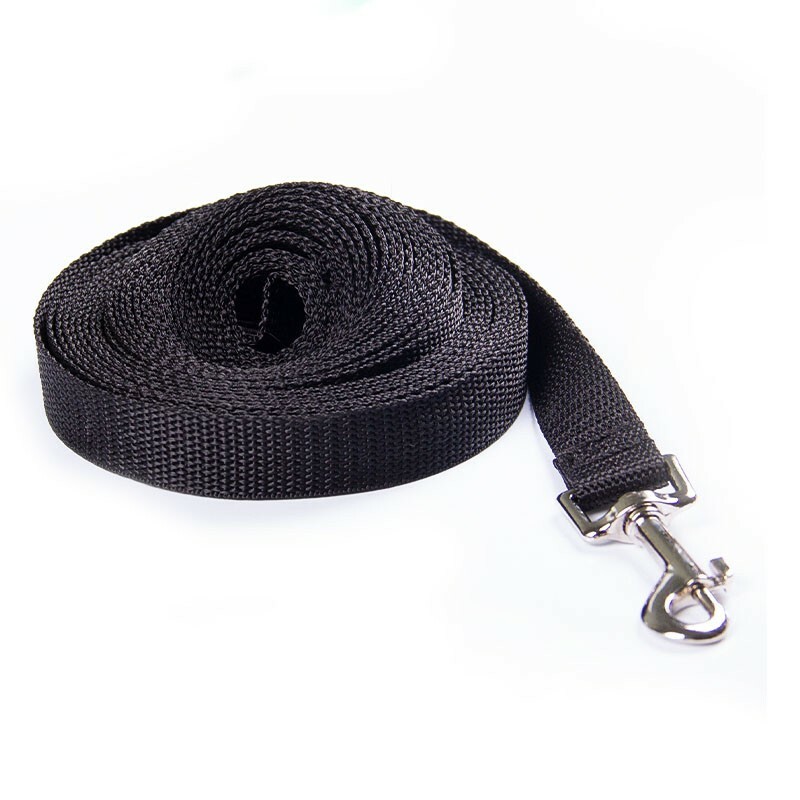 Soft handle makes controlling comfortable, no more leash burns. 360 degree rotation of hook offers your pet great freedom. Nickel hardware and solid color design ensure good look. -Mavric, a professional pet products manufacturer, offers leashes and collars for dogs. 1 year warranty is offered by us. If you have any question about pets or products, please feel free to contact with us. Why we need a dog leash? to make pets look better or for what? Actually the primary function of a leash is keeping your dog safe and under control in outdoor or other less familiar occasions. But size and temperament are different for various pet, which means we need to consider many details such as the length, width and material to choose a suitable leash for our dog in different activities. The key of a best leash is making your pet comfortable during controlling. As there are many options in pet product market, we are pretty sure that you can find a ideal leash to make both you and your pet happy.